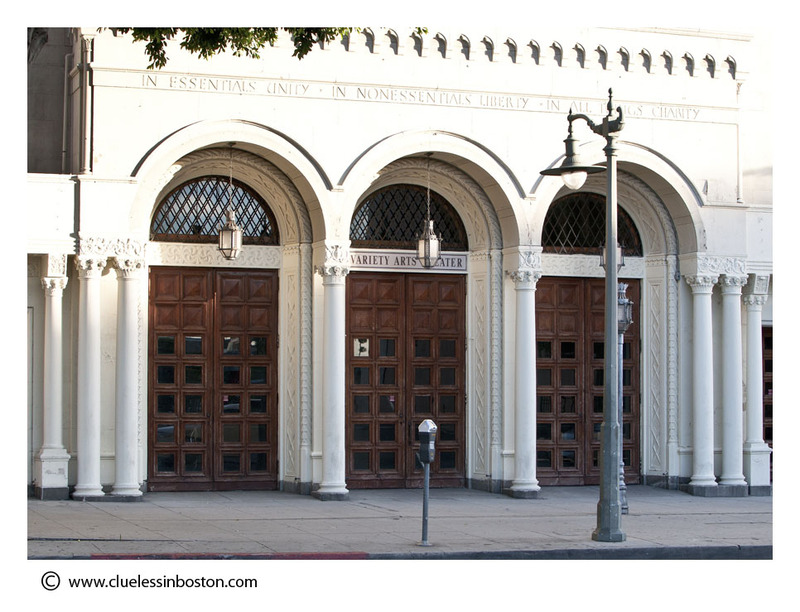 This week's door is a triple doorway of the Variety Arts Theater I saw on my trip to Los Angeles last month. That's a stunning banner image. The Chamber of Commerce would love to have this, I bet. An architecture of oriental spirit, it seems. There actually are some tasteful sights in L.A.
That's pretty. It thas a Moorish look to it. I love the banner, too. Massive doors, and so pretty! That's impressive - how nice when they are all open and thronged with people going to the theatre. Love your new header pic too. With best wishes for a very happy Thanksgiving on Thursday.